The quote above is from Arrival and it refers to the linguistic complications that can arise when trying to communicate with someone who speaks an unknown language. 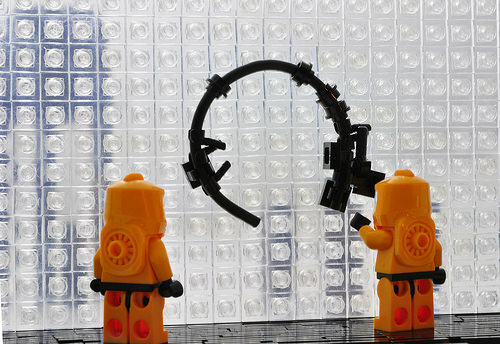 I won’t spoil the film by trying to explain what is happening, but I will say that this simple LEGO scene by Simon Liu perfectly captures the overall tone and eerie feeling of the movie. Even the floor has the perfect texture!